Wellness Garage's lifestyle medicine programs are designed to provide the support, resources and guidance individuals need to get on a sustainable path towards managing and reversing chronic conditions. We won't ask you to adopt any fad diet or unrealistic exercise regime. These can often get quick results, but not ones that are sustainable (or fun!) in the long run. Instead we will work together, reviewing first where you are at with your health, existing habits and personal goals. From there we will find a sustainable, step-wise path towards developing new skills and incorporating healthier habits that you can sustain over time. Your guide on this path will be one of our certified health coaches, who will support you each week with advice, resources and the opportunity to review and adapt strategies based on what is working or not working for you. Besides your personal health coach, you will also have a physician-supervised team of health experts on your side to support you at different points in your health journey. This multidisciplinary team includes a physician, registered dietician, kinesiologist, and certified yoga teacher. These experts will work together to ensure you are a getting a comprehensive perspective and getting everything you need to be optimize your health and wellness. We believe in 6 core pillars of health and all are in focus in our programs and services. Our programs and assessments are comprehensive focus on the whole person across nutrition, fitness, sleep, stress management, relationships and purpose. This allows us to personalize the experience to meet the unique needs of each our members and means we support people in different ways. For some people this might mean helping you find the right classes in your community to start enjoying exercising and for others it could mean helping to learn some meditation routines for improved sleep and stress reduction. Setting you on the right path means providing you not just with the right guides and coaches but also with the right knowledge and tools. Wellness Garage programs are not just meant to give you support but also to arm you with skills, education and strategies you can use for the rest of your life. This is why we integrate a number of educational resources and tools into our programs including unique Wellness Garage Resources, Precision Nutrition and Nudge. Our approach is evidence based and personalized to each client’s goals. We use the latest proven science and technology to both assess members on where they are at and to support them in making changes. We provide obligation free consultations to help those interested learn more about our services and how we might be able to assist you on your health journey. To book a consultation please use or online scheduler here or call us at 604-535-7010. In addition to virtual services, Wellness Garage also has a clinic located in White Rock/South Surrey BC. In developing this clinic, we aimed to create a space that could embody our philosophy towards health and provide members a place one-stop shop for meeting health and wellness needs. 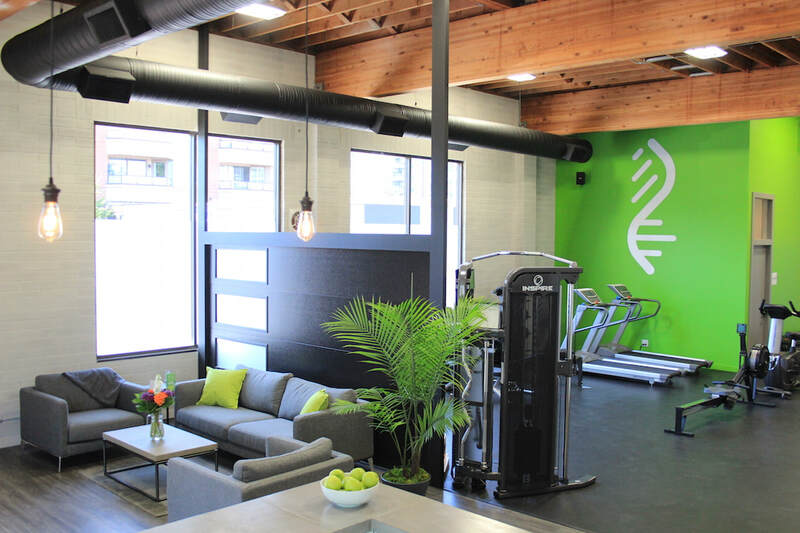 Our clinic contains a cafe with healthy eats, gym, meditation room, body scan room and medical exam room. Swing by for a visit!